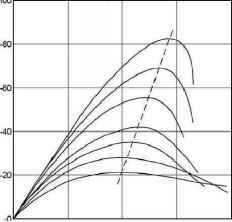 where t0) is the creep coefficient related to Ec , the tangent modulus, which may be taken as 1,05 Ecm as from Table [3.1-EC2]. Annex B of the Eurocode gives detailed information on the development of creep with time. Where great accuracy is not required, the value found from Figure 3.1 may be considered as the creep coefficient, provided that the concrete is not subjected to a compressive stress greater than 0,45fck(tc) at an age to. The values given in Figure 3.1 are valid for ambient temperatures between -40°C and +40°C and a mean relative humidity between RH = 40% and RH = 100%. 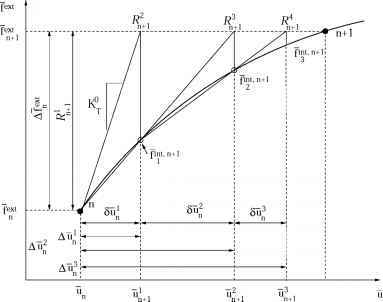 Moreover, graphs are in function of the concrete to, expressed in days, at the time of loading, of the notional size ho = 2Ac/u where Ac is the concrete cross-sectional area and u is the perimeter of that part which is exposed to drying. They are also in function of the concrete class (e.g. C30/37) and of the class (R, N, S) of cement used, as detailed at clause [3.1.2(6)-EC2]. When the compressive stress of concrete at an age to exceeds the value 0,45 fck(to) then the proportionality expressed by [(3.1)-EC2] does not subsist and creep non-linearity should be considered. In such cases the non-linear notional creep coefficient should be obtained as from the exponential expression [(3.7)-EC2]. £cd, the drying shrinkage strain, which develops slowly, since it is a function of the migration of the water through the hardened concrete and £ca, the autogenous shrinkage strain, which develops during hardening of the concrete: the major part of it therefore develops in the early days after casting. Autogenous shrinkage can be defined as "the macroscopic volume reduction of cementitious materials when cement hydrates after initial setting. Autogenous shrinkage does not include the volume change due to loss or ingress of substances, temperature variation, the application of an external force and restraint" [JCI, 1998]. Autogenous shrinkage specially has to be regarded for higher strength concrete's, since its value increases with decreasing water cement ratio. Autogenous shrinkage is negligible, in comparison to drying shrinkage, in concrete having a w/c ratio greater than 0.45, but it can represent 50% of the total shrinkage when w/c is 0.30. Its development in time is linked to the hardening process of the concrete. In high strength concrete there is a considerable strength development during the first days; therefore autogenous shrinkage specially has to be regarded in cases that imposed deformations can occur, such as in the case that new concrete is cast against old concrete. In Annex B of EC-2 the basic equations for both drying shrinkage and autogenous shrinkage are given. They are valid up to a concrete strength class C90. Drying shrinkage is essentially a function of the ambient humidity and of the notional size ho = 2Ac/u. Clause [3.i.4(6)-EC2] gives formulae and tabled values normally used. Further information is given in Annex B (part B2). Clause [3.i.5-EC2] gives the stress-strain relation for non-linear structural analysis as described by [Fig. 3.2-EC2] and by the expression [(3.i4)-EC2]. In ENV 1992-1-1, however, only concrete strength classes up to C50/60 were considered. High strength concrete is known to behave in a more brittle way and the formulation therefore cannot be extended to high strength concrete without modification. where the difference between mean and characteristic strength Af is 8 MPa. This equation is also a good approximation for the E-modulus of normal strength concrete and could therefore be attributed general validity. (It should be noted that the given values are mean values and that the real modulus of elasticity can considerably be influenced by a component like the aggregate. If the modulus of elasticity is important and results from similar types of concrete are not known, testing of the concrete considered is recommended). where m = £c / £c1 and m2 = (£c1 + £o) / £c1 where £c0 is a value to be taken from Table 3.3. How to calculate creep factor EC21? 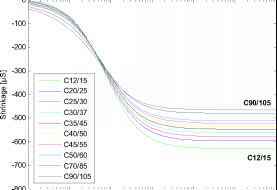 How to determine creep coefficient eurocode? How to use creep coefficient grpah?